Looking for Shopping in All the Wrong Places? Want to find a place in San Diego that has the best selection of merchandise, stores, and food? 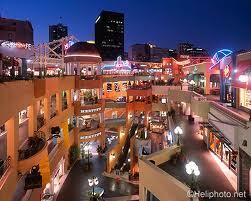 The Westfield Horton Plaza offers the best in health, beauty, apparel, groceries, and eateries! It also contains a movie theater with the latest films and a wide selection of restaurants from casual to classy. The Westfield Concierge provides a knowledgeable staff, located on Level 1, offering Westfield gift cards, Old Town Trolley Tours tickets, hotel recommendations, promotion and event information, shopping assistance, tourist information, coat and package check, refreshments, language assistance, and much more! Westfield Horton Plaza is a proud member of the San Diego Convention and Visitors Bureau, the San Diego Regional Chamber of Commerce, and the San Diego Concierge Association. Dogs are welcome in the common area! Posted in San Diego | Comments Off on Looking for Shopping in All the Wrong Places? Do you want serenity now? The Bay View at the Monterey Inn is a beautiful stop for all of our trolley guests especially with its majestic view of the Bridge of Lions in the distance! The bridge itself features two marble lions at the west end and connects St. Augustine to Anastasia Island! Come enjoy this delightful location as a pleasant beginning to the many beautiful St. Augustine Sightseeing Adventures aboard Old Town Trolley. Did you know that the San Sebastian Winery was among the first to develop table, sparkling, and desert wines from hybrid and muscadine grapes? 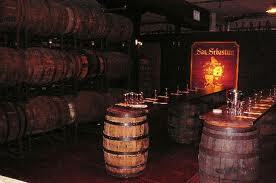 Guests are able to participate in St. Augustine Wine Tours of the actual winery and can learn how wine is actually made! YUM. Speaking of yum… you can also get a delicious sample during a complimentary wine-tasting! If you’d like a little more, the Cellar Upstairs Wine & Jazz Bar is an open-air deck that entertains on weekends! 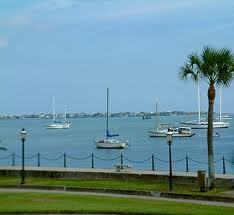 Come enjoy the wine and the beautiful views of St. Augustine. With school back in session this week we thought it would be a good time to talk about the Oldest Schoolhouse in St. Augustine. Did you know that the Oldest Schoolhouse originally had no electricity, no running water, no kitchen, or a bathroom? Today, you can walk through the kitchen, see the garden, and admire the old pecan tree that has been there for 250 years! Visiting the Oldest Schoolhouse has always been an inspiring experience since the 18th century! Come enjoy it’s charm and learn about it’s importance in our nation’s past. After opening in 1925, the Mayflower Hotel was instantly known as the “Grande Dame of Washington, DC.” It is located a mere four blocks from the White House and throughout the past 80 years, the hotel has hosted events that have changed the course of human affairs! 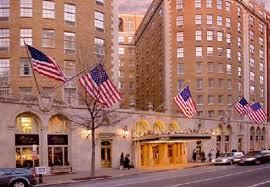 Since Calvin Coolidge, the hotel has hosted every US Presidential Inaugural Ball. FDR even used the Mayflower Hotel as a retreat to work on his 1933 inaugural address, while Harry Truman stayed at the Mayflower for the first 90 days of his presidential term! Our Own Dear Gator Bob! As unforgettable and beautiful as St. Augustine, everyone should leave with a unique piece of historic memorabilia! Gator Bob’s Trading Post is the perfect place to find something special for you as a reminder of your incredible tour in St. Augustine, the nation’s oldest city! It offers a huge variety of shirts, souvenirs, gator heads, cold drinks, post cars, jewelry and more! Enjoy the comradery and old-fashioned snack and arcade area! Posted in St. Augustine | Comments Off on Our Own Dear Gator Bob! 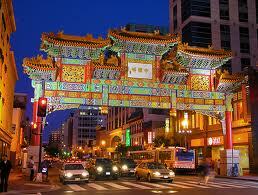 Did you know that DC’s Chinatown’s area was once home to many German immigrants? Beginning in the 1930s, Chinese immigrants began to move into the area. At its peak, Chinatown extended from G Street north to Massachusetts Avenue. Newcomers marked the area with decorative metal latticework railings and Chinese signage that can still be seen today! 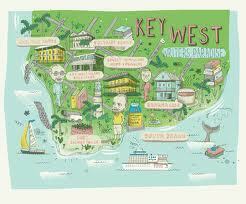 Key West offers a full-service Visitors Center staffed by experts who know the Island. They will provide you with reservations and discounts for hotels and watersports. Take advantage of free maps, information, and coupons for bars, restaurants, and attractions! 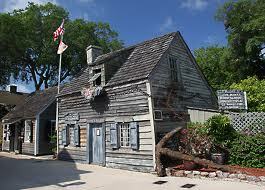 You can find the Key West Visitors Center at 1601 North Roosevelt Boulevard between 8 am and 10 pm! Posted in Key West | Comments Off on Need a Hand? You are currently browsing the Old Town Trolley Tours Blog blog archives for August, 2012.